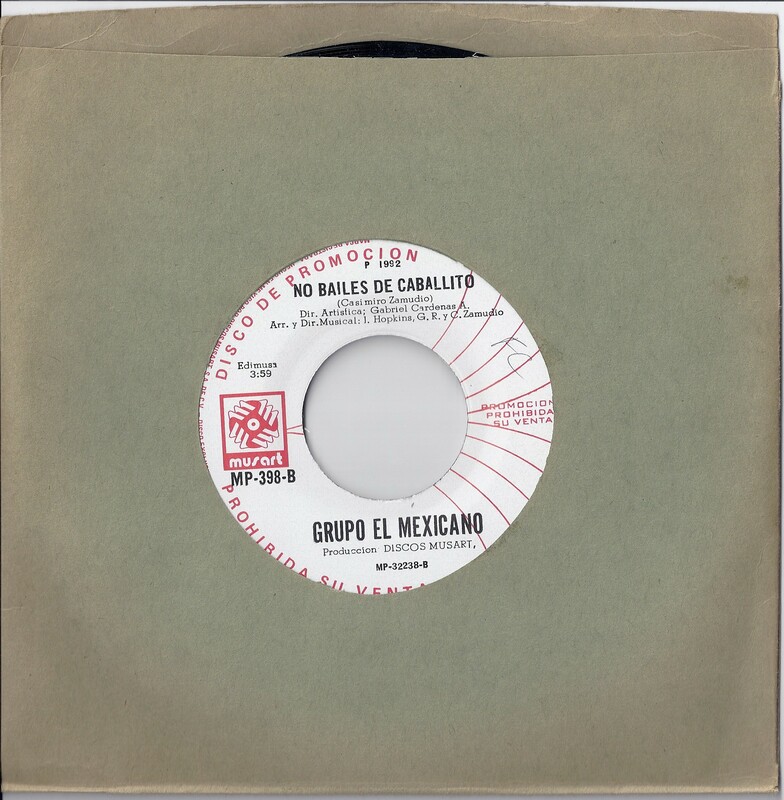 There is no other song I know that exemplifies the popular techno banda style more than Grupo El Mexicano’s No Bailes De Caballito. This song is kind of a classic in the genre and still gets radio time to this day. In fact, I probably would have guessed that the song was written yesterday, rather than in 1992. Which really demonstrates the longevity the Banda sound has had in mainstream Mexico. Just don’t play this song too loud in Arizona, you might get deported. To be honest with you, I’m not a huge fan of banda music, but these few tracks really stood out for me. Banda is more or less the fusion of Norteño music with larger brass instrumentation, fiery orchestras, larger hats, and matching suits. Techo banda however seems to take it a step further opting for synthesizers rather than tubas. Grupo El Mexicano rock synthesizer guitars. This music got really popular in the early 90’s and with that came a series of dance crazes like the quebradita – a dance, which at times, looks more like gymnastics. I tossed in the super fast track from Banda Guadalajara Express, which has a less techno sound than the first. But I couldn’t help think about the similarities between Banda, Merengue, and Perez Prado. Maybe it’s the kinetic break neck speeds and the matching outfits. I’ll definitely explore the Perez Prado influence in the next post. Enjoy! 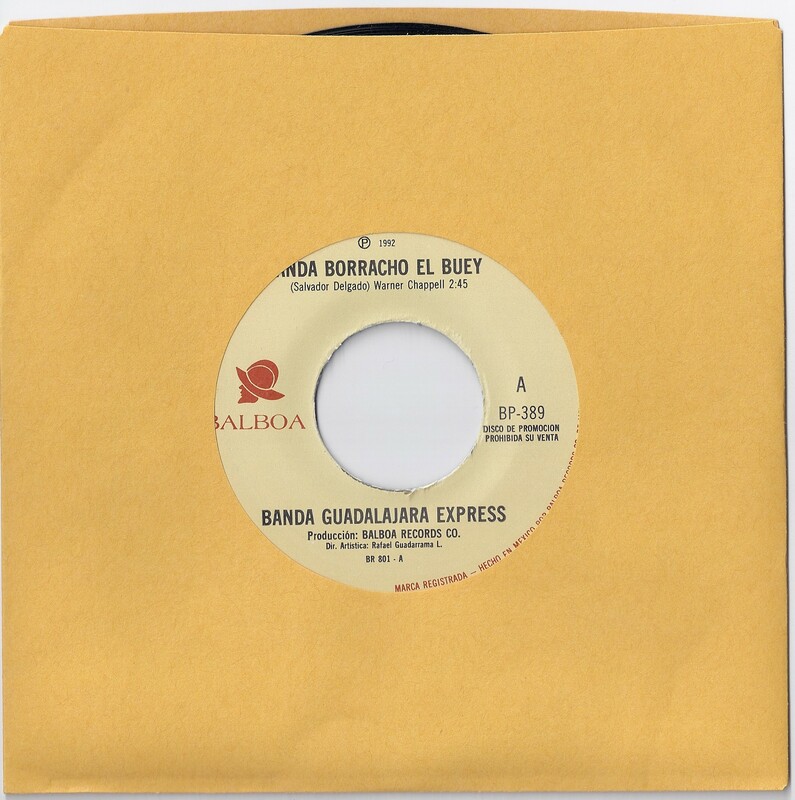 hahaha, wow… for years I’ve been trying to find “Anda Borracho El Buey” with Guadalajara Express. Dude, this is a awesome! I haven’t found that song anywhere… even hitting the street vendors of pirated music all over the state of Jalisco. Thanks!